[Photo Story] Yuna just can’t stop laughing ‘What happened? 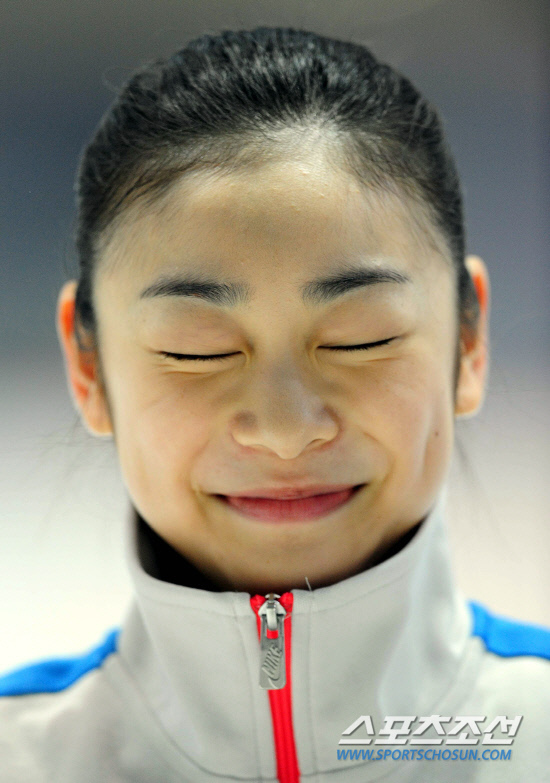 ‘Figure Queen’ Yuna Kim couldn’t stop laughing. was answering questions from the press. She needed to contain her laughter. She closes her eyes and takes a deep breath. But it’s no use. Her laughter keeps trying to escape her. Plan B. Try to think about something sad. ‘No use!’ It still won’t stop. She dominates the world stage but she was helpless in front of Laughter. But she wouldn’t be Yuna Kim if she gave up. She comes up with another plan. Enlarge your nostrils, clench your teeth and try to think of something else. What was so funny? What made her lose her composure? Yuna and Oppegard were interviewing for the Korean press. One reporter had to kneel while holding up a bunch of microphones. Yuna must have thought that this was hilarious. I think this will remain in the ‘Figure Queen’s memory for a long time.